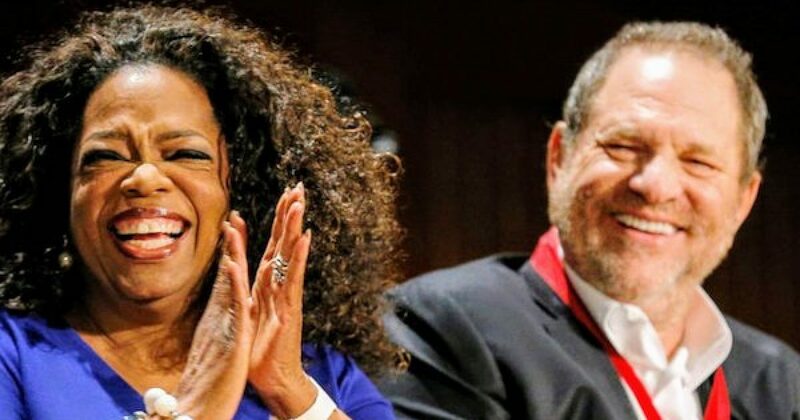 After her speech at the Golden Globes, many have been slobbering over the idea that Oprah Winfrey may make a run for the White House in 2020. Democrats are giddy over the possibility that she may consider a run. After all the liberal talking heads say, her speech was unifying. But a quick look at her history demonstrates that Oprah is not a unifier she is a divider. During a trip to Switzerland, she falsely accused a woman working in a pocketbook shop of racism. During another show, she sent softball questions to a guest who said Jews ritually sacrifice their children. And she may try to empower women, but not the women who were hurt by her political friends. “Of course, the problem is not solved. You know, as long as people can be judged by the color of their skin, the problem’s not solved. As long as there are people who still, there’s a whole generation – I say this, you know, I said this, you know, for apartheid South Africa, I said this for my own, you know, community in the south–there are still generations of people, older people, who were born and bred and marinated in it, in that prejudice and racism, and they just have to die,” she added. Well, I suppose that statement might unify funeral directors but that’s about it. Also in 2013, Oprah picked on the powerless by claiming she tried to purchase an expensive (approximately $38,000) handbag in Switzerland claiming she told by the sales clerk that she wouldn’t show it to the TV star because she probably couldn’t afford it. Oprah claimed it was racism and that the saleswoman assumed that a black woman could not have the income needed to purchase such an expensive accessory item. A few days later the sales clerk spoke anonymously to Swiss newspaper SonntagsBlick, the “bag lady “said she felt ‘powerless’ and in the grip of a ‘cyclone’ after Winfrey went on TV in America to claim she had been the victim of racism. On her show, Oprah hosted many divisive guests She hosted the self-help author Louise Hay, who once told the NY Times Holocaust victims may have been paying for sins in a previous life. Her “opinion” didn’t stop Oprah from featuring her on her show. Nor did it stop Oprah from featuring a guest who used the pseudonym Rachel. Rachel claimed that Jews ritually sacrificed their children. Gee thanks, Oprah do you think people remember that one line, or the sensationalism of the interview. That episode was so awful that “Jeffrey P. Sinensky, director of the civil rights division of the Anti-Defamation League of B’nai B’rith, called the program ”potentially devastating” and said his group, which fights anti-Semitism and racism, had received hundreds of calls.” I can’t think of another time when the progressivism-first ADL actually criticized a liberal. But Juanita Broaddrick was raped by Oprah buddy Bubba Clinton. Is someone this divisive someone who the Democrats would nominate for president? That can be answered with two words, Barack Obama.